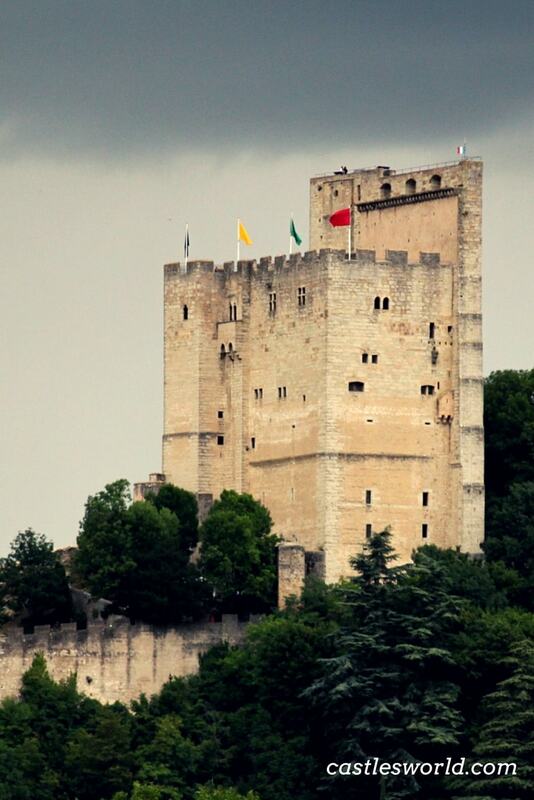 With a height of 52 meters, the Crest Tower is the highest surviving keep in France and one of the highest in Europe. Originally, it was a major component of a vast fortress which dominated Crest and its valley. The valley of the Drome river has always been of strategic importance due to the trade routes from southern France to Italy through the Alps. The first written document is a papal letter of 1120 that suggests that a fortress was already in place. Moreover, at about this time, a medieval town was beginning to develop around the fortress; it bore the name of the master of the area, Lord Arnaud de Crest. The castle was built in several stages but by the end of the 14th century, a massive fortress with a grand square tower stood on the site and commanded the town and the Drome valley. The giant keep represented the key for the defensive strategies, a shelter in case of attacks as well as a symbol of the lordly power. 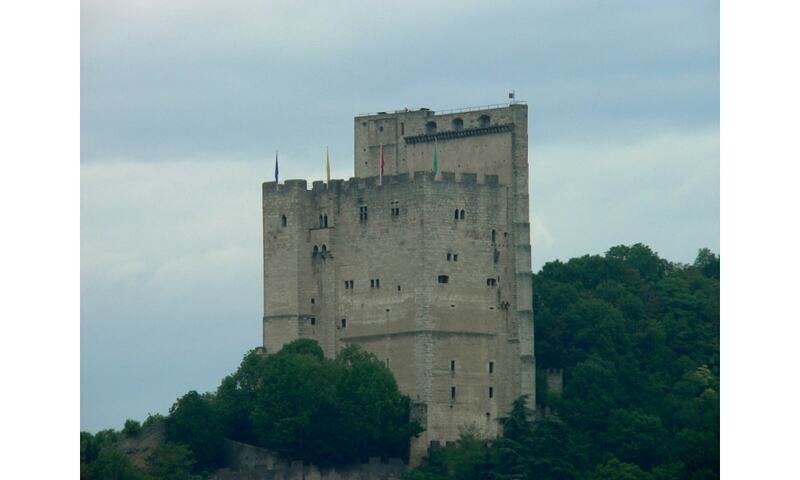 From 1419, the fortress became a royal property and the French Kings granted it to several noble families such as the Grimaldi, the ancestors of the Prince of Monaco. In the 17th century, French King Louis XIII dreaded the importance of the Crest fortress. As a result, his chancellor Cardinal Richelieu gave orders that the castle had to be demolished. The great keep has been the only element which got away from destruction. From the 18th century, the upper floors of the tower became a well-known prison. The tower kept in custody political prisoners who opposed the imperial rule of Emperor Napoleon III in the nineteenth century but also common law prisoners. The walls are covered with inscriptions and graffiti made by the convicts. The prison was used until 1873; the last prisoners to be kept in the tower were the opponents of Napoleon III's coup d'etat from 1851. In 1988, the town acquired the Tower and opened it for the tourists. It is classified as a historic monument since 1877. The tower of Crest is a perfect example of an architectural defense system of the Middle Ages. It was the masterpiece of a fortified structure (known as the Castle of Crest) that no longer exists. Its impressive dimensions (52 m high, 32 m long and 20 m wide) with walls up to 4 m thick and no unnecessary decorative elements formed a formidable defensive system of the Middle Ages. The tower was also a living place for lords with its 15 rooms that are ready to be discovered. The keep can be scaled via staircases and it offers great views of Crest and the Drome River.